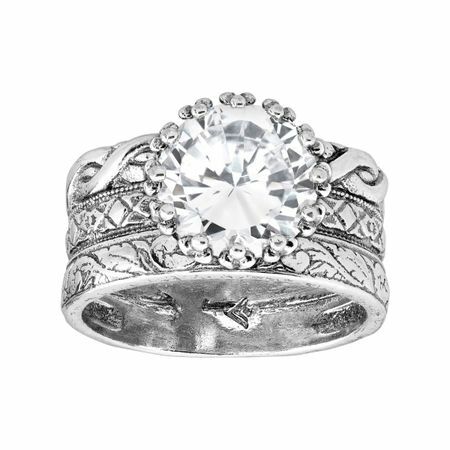 This textured ring is perfect for adding dimensional detail to any outfit. Bright cubic zirconias are set atop etched and braided rows of sterling silver, making this piece a diverse addition to your collection. Ring face measures 3/8 inches in width. Piece comes with a ".925" sterling silver stamp as a symbol of guaranteed product quality.